All photos courtesy Cincinnati USA Regional Chamber. The largest Oktoberfest celebration in America kicks off this Friday, Sept. 18, in Cincinnati with an event that pretty much sets the tone: the Running of the Wieners, a race featuring a herd of Dachshunds (all wearing buns) blazing down Fifth Street in downtown. Samuel Adams is the event sponsor, and President Jim Koch will be on hand for the festivities. As one would assume, plenty of beer will be flowing for attendees. And at Oktoberfest Zinzinnati (yes, that’s the official name), they don’t mess around. Vendors expect to sell more than 2,000 barrels of beer, which equates to nearly 4 million fluid ounces. 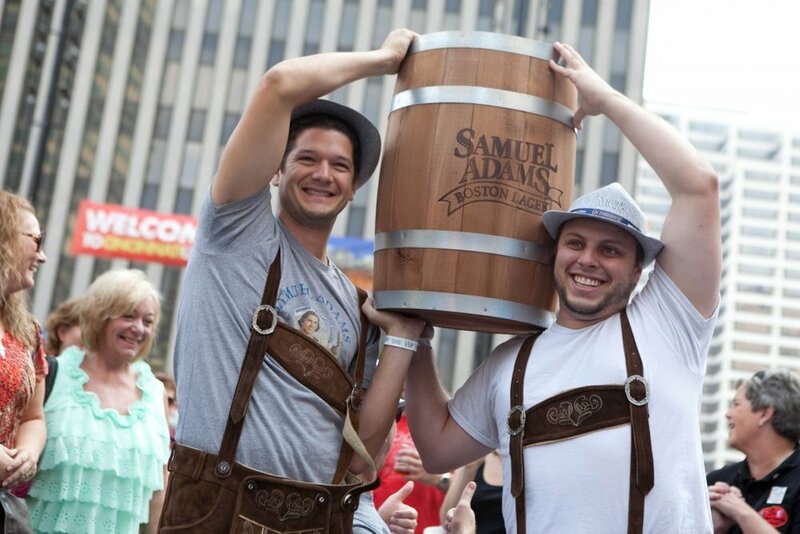 The festival, which began in 1976 and briefly held a Guinness world record, set in 1994 for the World’s Largest Chicken Dance (48,000 people), celebrates the German heritage of southwest Ohio with German-style music, food, activities and more. Nearly 600,000 people attend each year. The chicken dance has been led over the years by celebrity grand marshals ranging from George Takai to “Weird” Al Yankovic. This year’s grand marshal is former Cincinnati Bengals quarterback Ken Anderson. 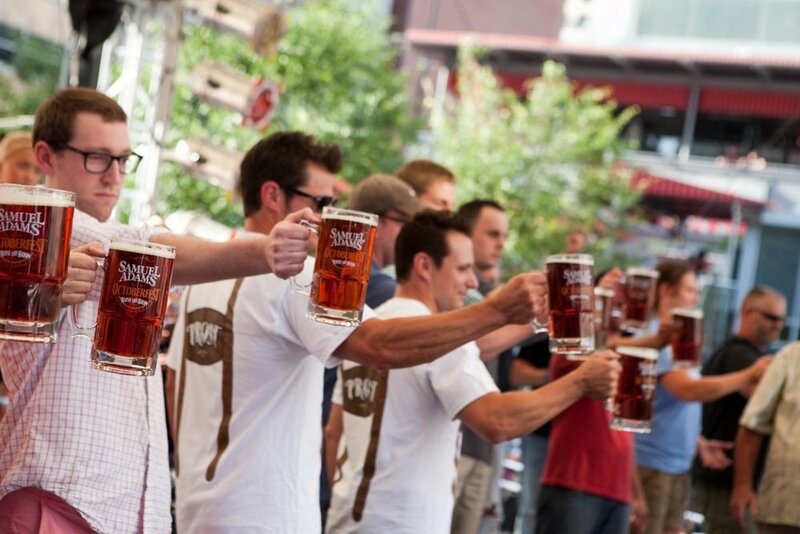 Oktoberfest Zinzinnati Hours: Friday, September 18, 5 p.m. – Midnight Saturday, September 19, 11a.m. – MidnightSunday, September 20, 11 a.m. – 10 p.m.